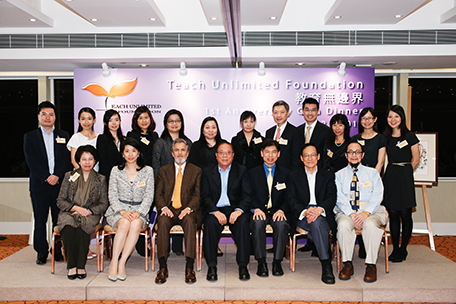 Teach Unlimited Foundation (TUF) is a non-profit organization founded in April 2011 by a group of local parents concerned about the quality of education for financially and socially disadvantaged students in Hong Kong. We are a registered tax-exempt charitable organization under Section 88 of the Inland Revenue Ordinance (Cap 112) in Hong Kong. 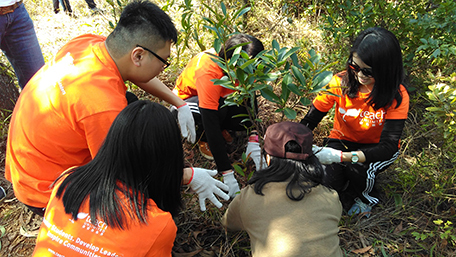 We are a financially and charity listed on WiseGiving and was awarded the Caring Organisation Logo by the Hong Kong Council of Social Service since 2015. Every youth has a dream and can learn to realize it. To support the education and personal development of financially and socially disadvantaged students through enhancing self-esteem, learning attitude and motivation. To develop high caliber, socially conscious and passionate university graduates as role models and future leaders to advance the cause of quality education for all. To model an effective way on mentorship and promote its integration into youth education in Hong Kong. These are the core and shared convictions Teach Unlimited stands for. They are the root of all our action; direct us to a common purpose and to work together effectively. Everyone is a bearer of unique gifts and talents. All children have unlimited potential for development. Good governance is important to build community's confidence in TUF. It also leads to better decisions and resources use. TUF was founded with a seed operating fund donated by its Board of Directors. Additional funding has been sought through continuous fundraising appeals to individuals, corporate donors and private foundations. 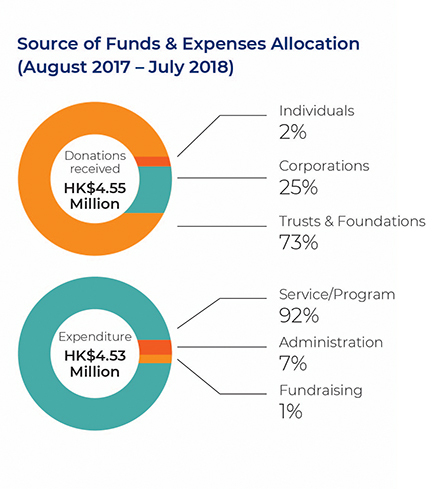 For the fiscal year ending 31 July 2018, the income and expenses of TUF was recorded as HK$4.55 million and HK$4.53 million respectively. We strive to keep our administrative expense at a low percentage of our annual budget. Consistently since 2011, over 90% of our funds is being used for direct services.